Author: Richardson, Bill Set In . . .
A pair of endearingly eccentric bachelors--in their fifties, and fraternal twins--own and operate a bed & breakfast establishment where people like them, the "gentle and bookish and ever so slightly confused," can feel at home. Hector and Virgil think of their B&B as a refuge, a retreat, a haven, where folks may bring their own books or peruse the brothers' own substantial library. An antic blend of homespun and intellectual humor, Bachelor Brothers' Bed & Breakfast is a place readers will want to return to again and again. Bachelor Brothers' Bed & Breakfast, originally published by Douglas & McIntyre, won Canada's prestigious Stephen Lecock Award for Humour in 1994, and was published in hardcover by A Wyatt Book for St. Martin's Press in 1996. 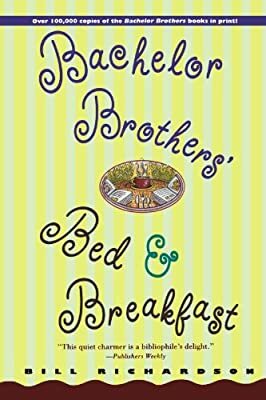 Its sequel, Bachelor Brothers' Bed & Breakfast Pillow Book, is a Canadian bestseller, and will be published in hardcover by A Wyatt Book in October 1997.